In recent months there has been increasing awareness and discussion around the built environment’s impact on a number of complex social and economic issues that also intersect with race and class. Architecture critic James Russell has written about Ferguson and even New York Times critic Michael Kimmelman has written about Eric Garner. 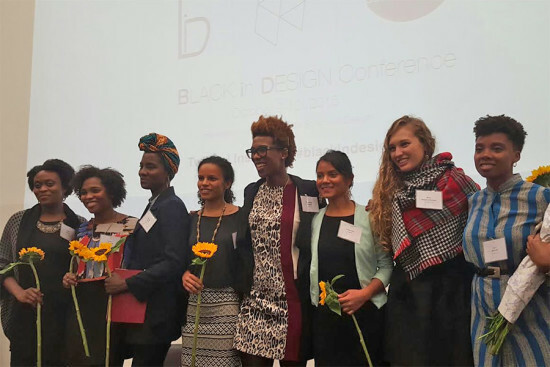 This momentum for a long-overdue public conversation on these issues among those in the design and planning disciplines is also being fostered by a group of predominantly black and predominantly women students at Harvard’s Graduate School of Design. The GSD’s African-American Students Union (AASU) has challenged themselves, their peers, their institutions, and the built environment disciplines at-large to seriously engage the real differences that race can make in design practices. This led to the Black in Design Conference—organized by AASU and held at Harvard GSD this weekend. A range of ideas, projects, and provocations by nearly 30 speakers from different disciplines were organized into panels according to scales of impact: buildings, neighborhoods, cities, and regions. There were also sessions on the role of race in the pedagogy of design and global design practice. But this was not your usual design conference. Beyond the presentations and discussions, there were collective breathing and dance exercises, throwback Goodie Mob music video clips addressing urban conditions, and even a choir performance with many participants singing along to anthems for social equality and progress. The conference lunch was programmed as a workshop around the issue of food access and quality that affects many black and low-income communities. The conference’s structure created a space to share and question what it means to attempt to address the difficult issues that affect black communities as a designer—and further, what it means to be black in design. Phil Freelon, an award-winning architect of the new Smithsonian African American museum, asked who was going to be the “Miles Davis of Architecture” to provoke the notion that in the built environment design fields black designers do not yet have the weight of influence seen in other creative fields, such as music or fashion, that shape and inform our larger culture and everyday lives. More than once, speakers raised the need for more people of color to get into the design fields and increase the number of licensed black architects which today stands at a paltry 2 percent. Architect and planner Maurice Cox advertised to the audience 30 new urban designer and planner job openings in the predominantly black city of Detroit, underlining the need for black designers to work in black communities. 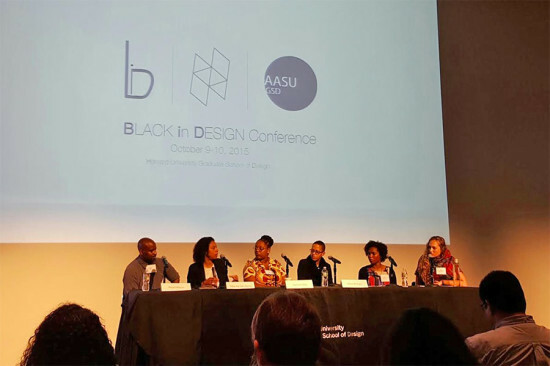 The discussions at the two-day event highlighted that the personal and professional contributions that black designers make to their fields, and by extension to the global and local contexts and populations that they serve, is all too rare. 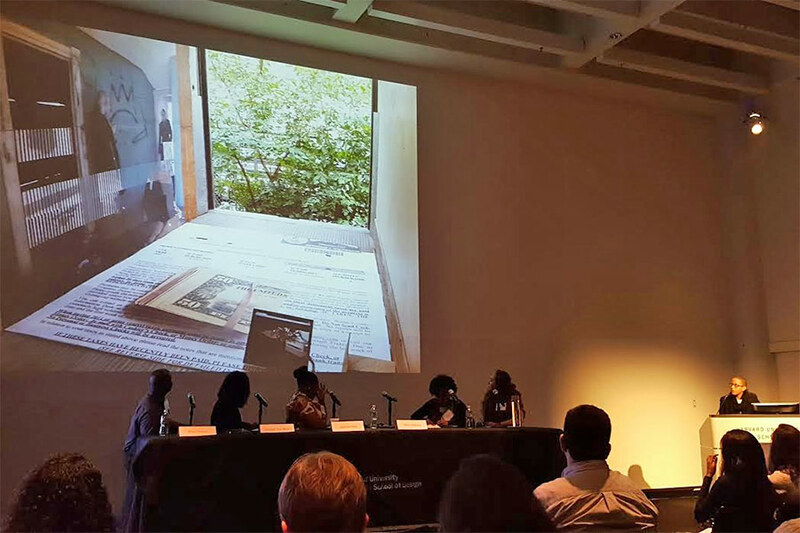 More information about the conference can be found at blackindesign.com and some of the ideas and images from the event can be found on social media using the #blackindesign and #blackdesignmatters hashtags. Justin Garrett Moore is an Adjunct Associate Professor of Architecture at Columbia University’s GSAPP and was a speaker at the Black in Design Conference. February 15, 2019 Is the medium the message in post-digital architecture?